SAP stands for a Standard Assessment Procedure and is adopted by Government as the UK methodology for estimating the energy performance of planned domestic buildings. The SAP calculation is based on the energy balance taking into account a range of factors that contribute to energy efficiency. These include materials used for construction of the dwelling, the thermal insulation of the building fabric, ventilation characteristics of the dwelling and ventilation equipment, efficiency and control of the heating system, solar gains through openings of the dwelling, the fuel used to provide space and water heating, ventilation and lighting and renewable energy technologies. The SAP calculation or tool determines a number of indicators of energy performance these being, an energy cost rating (the SAP rating), an Environmental Impact rating based on CO2 emissions (the EI rating) and a Dwelling CO2 Emission Rate (DER). The SAP and Environmental Impact rating are based on the energy costs and annual CO2 emissions associated with space heating, water heating, ventilation and lighting, less cost savings from energy generation technologies. They are adjusted for floor area therefore independent of dwelling size for a given built form. The ratings are expressed on a scale of 1 to 100, the higher the number the lower the running costs and better the standard. The Dwelling CO2 Emission Rate is a similar indicator to the Environmental Impact rating, which is used for the purposes of compliance with building regulations. It is equal to the annual CO2 emissions per unit floor area for space heating, water heating, ventilation and lighting, less the emissions saved by energy generation technologies, expressed in kg/m²/year. It is this measurement that compliance for building control is measured against. The tool is also used to generate Energy Performance Certificates for on-construction domestic buildings. If you're planning to construct any new building that will be used as a residence, obtaining a SAP Rating and a Dwelling Emission Rating is generally required prior to starting the construction phase. Although straightforward enough to produce (at Melin we generally turn-around these calculation in less than 5 days) getting the right balance of improvement right is not so easy. Whilst the SAP should never be used as a design tool it is worth every penny dealing with an assessor who will be able to spot easy to remedy problems and offer good sensible advice in getting compliant the easiest way. 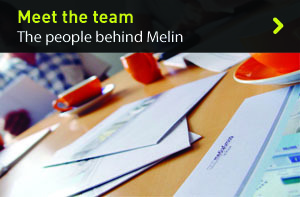 At Melin, our SAP assessors have plenty of experience in dealing with tricky developments and always approach compliance with our clients in mind. We are yet to be beaten by a tricky rating and have been involved in many projects which require an improvement greater than 40% over regulatory minimums and managed to keep our clients wallets on the happy side. 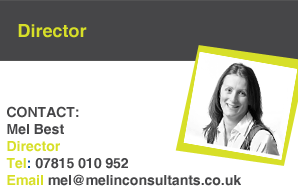 To arrange a SAP calculation, to get more advice or if you need to just run something by us then please contact an assessor at Melin Consultants.